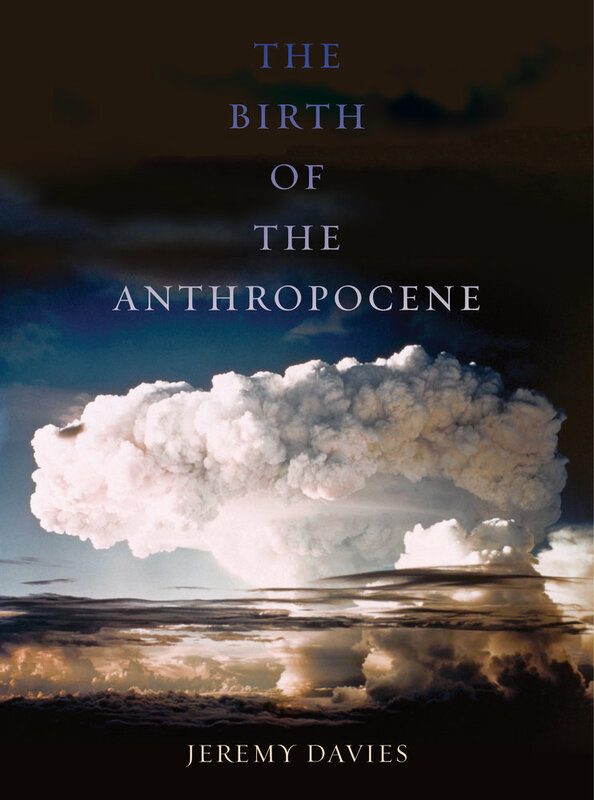 Last week’s post was the start of a response to Ian Angus’s Facing the Anthropocene. I think it’s a terrific book, and although there are differences between his study and mine (his book is about the Earth System science version of the Anthropocene; mine is about the stratigraphic version of the Anthropocene) I hope that the two are more or less complementary and mutually illuminating. Still, I want to take seriously Angus’s declaration that he “looks forward to receiving responses, amplifications, and, of course, disagreements” (p. 20). I’ve got two disagreements to point out; they’re disputes with only small moments in the book, but I think they point to deeper conceptual divergences. In another post (given my self-imposed 2000-word limit), I’ll add three suggested amplifications. The first disagreement has to do with temporality, and it’s centred on a chapter of Facing the Anthropocene called “Capital’s Time vs. Nature’s Time.” That opposition seems too simple to me. Earlier in the book, Angus spells out the neocatastrophist principles of recent Earth System science. Global climate shifts from glacial periods (“ice ages”) to interglacials are “abrupt and chaotic.” During them, the temperatures of whole continents can jump by several degrees Celsius, not over centuries or millennia but in the course of years and decades—“almost no time in geological terms, and not much time in human terms” (p. 69). Given that the existence of tipping points like those is as important to his work as it is to mine, what’s the force of a claim like this one: that in the current crisis, “a system that has operated smoothly for thousands of years is now being seriously disrupted” (p. 118)? The “system” that he’s referring to there seems to include not only the nonhuman world, but human–nonhuman relationships. Did pre-capitalist societies, and the ecosystems they inhabited, consistently “operate smoothly” for thousands of years? Soil erosion and deforestation are to a great extent phenomena of socially stratified and demographically expansive food-producing societies in general, not of capitalist societies in particular. Southwest Asia has faced recurrent deforestation/soil degradation crises since at least the second millennium BCE. All because is surely much too strong. This chapter is one of the most Planetary Boundaries-focused, limits to growth-y ones in Facing the Anthropocene. The contrast that Planetary Boundaries thinking tends to set up, as here, between the hurry of modernity and the slow cycles of nature, has always seemed to me analytically insufficient. None of that is to gainsay the intuitive validity of much of what Angus is arguing. It’s true that incurably short-termist profit-taking is baked into capitalist economics. It’s true that a system that lives or dies by accelerating its own expansion must become ecologically destructive. But I don’t think it’s enough to conclude from that that “capital’s time is overwhelming nature’s time, producing rifts that are big enough to be called metabolic chasms” (p. 125). I’ve tried to offer an alternative view. One way of summarising the whole thrust of my thinking about the Anthropocene would be to say that I don’t think either capitalism or the Earth system have any one single “time” or temporal scale that’s proper to them. Instead, the current crisis brings into focus the fact that both capitalism and the Earth system inhabit—or spread themselves across—a whole multitude of seemingly irreconcilable temporalities at once. When we recognise the birth of the Anthropocene epoch, we come to see that capitalism has always been a phenomenon that lives both in quarterly returns and in geological time. It operates on many other scales, too: it’s partly continuous with millennia of pre-capitalist accumulation and ecological wastage. The Earth system, likewise, operates on the timescale of the changing seasons just as much as on the timescale of the supercontinent cycle. In the current crisis, temporal schisms and irregularities within the two phenomena, not just between them, come to interfere with one another ever more destructively. Insofar as the imprint on the Earth System scales with consumption, most of the human imprint on the Earth System is coming from the OECD world. … The Great Acceleration has, until very recently, been almost entirely driven by a small fraction of the human population, those in developed countries. As we’ve seen, similar points have been made in previous reports and articles, but they have now been given much more prominence – moved to center stage, as it were. Steffen and his associates have clearly shown that they understand the importance of including global inequality as a key factor in any discussion of the causes and effects of the Great Acceleration. The claim that Anthropocene scholars in general blame all of humanity for the actions of a small minority simply doesn’t hold water. Further disaggregation? Sure. But I think there’s a still more pressing need to interrogate the theory of causation behind the claims that the imprint is coming from the OECD world, or that it’s driven by the rich. Firstly, one key observation that a socialist analysis can make is that it’s precisely the relationship between the world-system’s core and its periphery (or the OECD and the developing world, the Global North and the South, or whatever) that provides motive force for the Great Acceleration. It’s not the case that the rich world is the source of ecological change, and that the majority world is passively shut out from the process of transformation. Instead, the periphery is the crucial source of the labour power, raw materials, waste dumping grounds, targets for military intervention, etc., that make possible the economic–ecological conditions at the core. So it’s just as important to call for further analytical aggregation as for further disaggregation. That is, leftist analyses need to sponsor a more systemic view of postwar economic-ecological change, one that acknowledges that in fact the vast majority of the world’s population—and not just the fraction that has profited the most from it—is deeply bound up with the Great Acceleration, albeit in very different and inequitable ways. It’s a version of that classic rebuttal to a right-wing talking point: the observation that the real “wealth creators” are the workers, no less than their bosses. Secondly, a fully ecosocialist analysis, for me, would always have to be one that draws on a still more expansive understanding of causation. On that understanding, it’s not a question of imprints at all, but of assemblages. Even “the human population” as a whole isn’t really the driver of ecological change. Instead, it’s the recent, historically specific conjunction of hydrocarbons, spreadsheets, phosphorus, wheat genes, people, jellyfish and countless others—all of them on the same level of reality and each of them with their own powers of agency—that constitutes the Great Acceleration. In The Birth of the Anthropocene, I tried to deploy the idea of the Anthropocene epoch in the most strictly anti-anthropocentric way that I could. Doing so leads to weird distortions of ordinary ideas about temporal scale, and of standard assumptions about cause and effect. It’s those distortions, I think, that create the deepest differences between Angus’s perspective and my own. But there are also some more local queries worth raising, and I’ll get on to those in part 3.